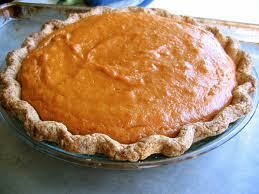 Sweet Potato Pie has to be my all time favorite dessert. I can make it any day of the week and absolutely love it. I like the regular pie crust not the graham cracker crust. Sometimes it’s hard to find a good sweet potato pie. But guess what??? 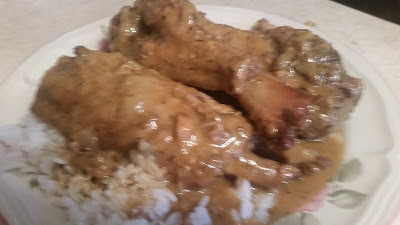 I am going to share with you my simple recipe. This sweet potatoe recipe with make you a star in the kitchen. WOW! Boil potatoes with skin on in water until fork tender. Place sweet potatoes into large bowl. Sprinkle salt and butter. Mash with a potato masher until smooth. Mix nutmeg and add sugar. Mix well. (you may use a mixer, on low speed this will help make the pie smooth) Add the whole eggs first and mix, now add the egg yolks and mix well. Slowly add evaporated milk, vanilla, lemon extract.Mix until a smooth .cut the oven to 375° F. Place pie shells on a baking sheet. Pour sweet potato mixture into pie shells evenly making some peaks. Bake on center rack for 45 minutes or until peaks are dark brown. Allow to completely cool.